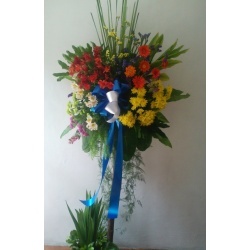 Ask about our wedding flower arrangement service for weddings held in the Philippine . Florabella offers flower design and arrangement services for weddings, whether church weddings or garden weddings. This is perfect for those planning or about to have their wedding in the Philippines. Wedding flower arrangement is a key expertise of Florabella. 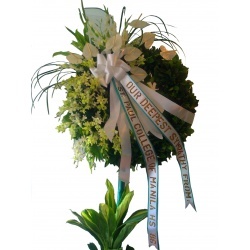 Bridal floral bouquet design is another proud talent of the Florabella team. Visit our wedding flower arrangements and wedding blog for more information. Your wedding guests and family will surely be impressed and appreciate the extra elegant touch of Florabella wedding arrangements when they see our wedding arrangements from the church to the wedding reception .. you are certain to find the perfect flower arrangements here on the Florabella online florist web site.